Want to enhance your natural lashes? Fuller, thicker, longer & Darker. Extend your lashes to the length you've always wanted. Wake up and go. Swim, Shower & continue with your regular day-to-day routine. Be conscious not to rub hard and use OIL FREE make-up remover. 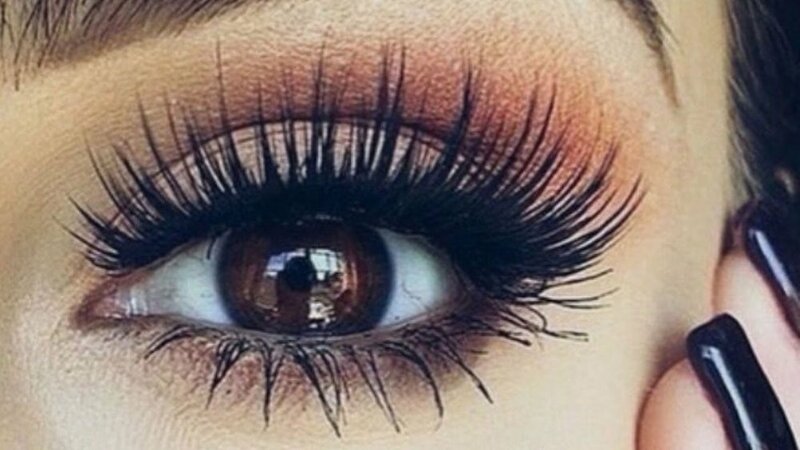 Don't forget to give your lashes a brush daily. Our gorgeous synthetic Mink Lashes are our preference for this service, as they offer a virtually weightless, natural lash feel. Lashes can become a bit twisted after a few weeks. Get some removed and replaced! A fill is required to keep lashes looking neat and full. Don't wait too long . . . if you only have a few left on each eye, a new set will be required. We recommend having them filled every 2-3 weeks for best results. *Please note the weekly lash fill price is dependant on how well they have been taken of, please speak with your lash tech regarding home care. Would you like to try lash extensions, but aren't ready to commit?? Try a 30 minute mini set!! Need a touch up before a special occasion, or don't want to wait a full 2 weeks for a fill. This 15-30 minute service is for you! We recommend lashes be professionally removed. It requires a specific lash gel remover and are removed individually to avoid damage to your natural lashes. Do not pull or cut the lashes off. Please consult with one of our professionals for removal. Avoid getting Lashes wet for at least 24 hours after appointment. Use only oil free makeup remover. We recommend our Pevonia Oil Free makeup remover. Brush your lashes regularly with the lash brush provided. We recommend purchasing the Diamond Lash Sealer, this will prolong the longevity of your lash extensions. Do not wear mascara, as it will damage the lash extensions. The Lash Lift & Tint is perfect for you if you are looking for eyelash enhancements but do not want to commit to the maintenance of eyelash extensions! The old school eyelash perm has been reinvented in a safe and fun way! During this service we will curl your lashes permanently which typically lasts up to 6-8 weeks! We will also tint your lashes so that you can go mascara free! A Lash tint typically lasts only 3-4 weeks, so we recommend you come in half way between lash lift appointments to have another tint! The best part!! Low maintenance and you can still wear mascara without having to use an eyelash curler ever again! Most importantly do not wet or wash your lashes for 24 hours after your Lift & Tint Service to maintain the curl! Avoid high heat, humid environments (steam showers, hot yoga etc.) for 24 hours after your appointment. DO NOT use any oil or oil based products on your lashes. Brush your lashes regularly with the brush provided. Please Note: If you are switching from lash extensions to the lash lift & tint service we require a minimum of two weeks after lash extensions are professionally removed to perform the lift & tint service to ensure the integrity of the lashes are not compromised. Please contact a member of our team for more information.